A century ago we were still in the middle of what was most inappropriately called as the ‘War to end all Wars’. World War One, as it is known, became the point at where humanity and industrial revolution collided. It was the stage where mechanical devices (such as the machine gun) provided the slaughter of thousands of lives. Into this meat grinder Australian and New Zealand soldiers (ANZACs) had initially gleefully joined up to protect the historical concept of the ‘mother country’. Their tour started in Gallipoli in an ill fated attempt to loosen the German grip in northern Europe. At Gallipoli, the diggers, as they had become known, forged a grim determination to serve but their motivation became more about their ‘mates’ and never letting them down. The Gallipoli campaign ended but the ANZAC commitment continued in northern France, fighting the Germans directly. Along with the Canadians, they became the elite of the Allied forced who could be trusted to achieve their objectives and punch well above their weight. This came at grave cost, with many units suffering significant causalities throughout the remainder of the war. By 1917, the full effect of this brutal conflict was being felt on the home front, with more and more families losing loved ones. The war would end but the scale of the losses never would. The memorials went up, the survivors came home and people tried to get on with their lives. The common method of coping with trauma back in those days was suppression. 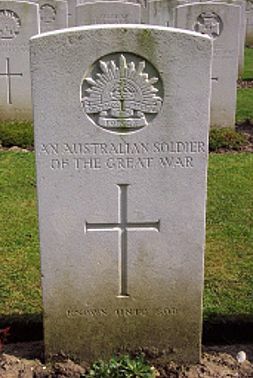 It is only now that more people are discovering the astounding contribution and sacrifice the ANZACs made during their service in World War One. They fought and died for the belief that they were making the world a better place and they did. It is for that sacrifice and commitment to country that we pause today and remember them. We remember the others that followed in their footsteps and served in other conflicts since the day. We also remember those who serve us today in the armed forces. We shall remember them but we should also remember the cost of human greed, insensitivity and selfishness is war. Global conflict is a reflection of the individual in the street. Today we live in a complex world far from the conflicts of 1917 but yet countries, states and people still default to violence and aggression as solutions to conflict. We honour and remember those who gave their lives for what they believed in but we also need to remember the human cost war brings. As we remember let us also commit to being more accommodating of those around us, because from small conflicts potentially grow larger ones.